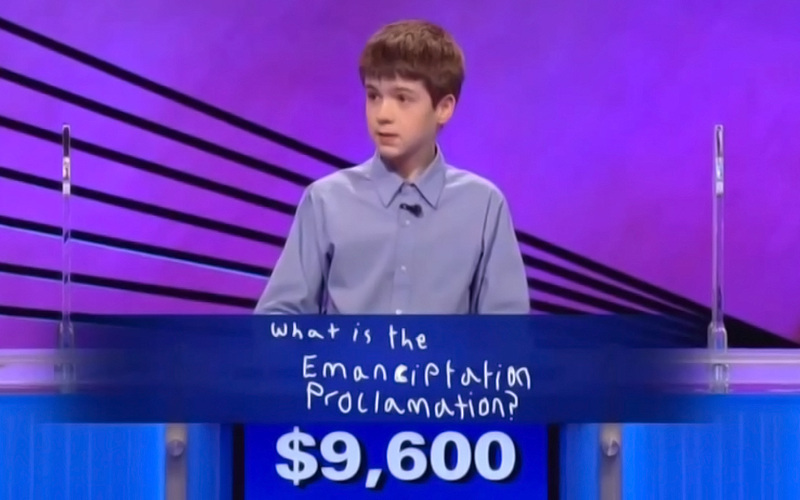 Can you answer these super easy Jeopardy questions? Try your hand at answering some of the easiest questions on the Jeopardy! Did This Optical Illusion Trip You Up? Can You Pass Our Animal Vocabulary Quiz? Which Famous Quote Defines Your Life's Purpose? Would You Last In An Open Relationship? How Much Flow Do You Have In Life? How High Is Your Social IQ? Which Villain Is Actually Your Evil Twin? What does your nose shape tell about your personality? What Fun Activity Should You Do On Your Next Date? Most People Use Only 10% Of Their Brain. What Percentage Do You Use? What Is Your Animal Totem?